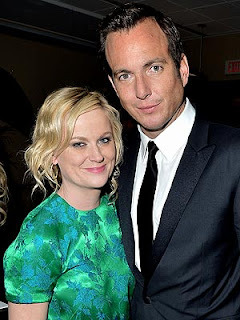 Amy Poehler and Will Arnett are calling it quits. The comedic stars, who wed in August 2003, are ending their marriage, a rep for both actors confirms to PEOPLE. The pair have seen happier times. In 2005, the Parks and Recreation star, 40, told PEOPLE, "He makes me feel very safe. You can have a lot of adventures if you have someone by your side." Arnett, 42, who currently stars on NBC's Up All Night, said that he "immediately had a talent crush" on Poehler. "The first time I saw her onstage, I said, 'I'm gonna marry that girl,' " he told PEOPLE in 2009. The couple are parents to two sons – Archie, 3½, and Abel, 2. This marriage was the first for Poehler. Arnett was previously married to Penelope Ann Miller.